Resty’s House is a partnership which exists to provide a transitional home for orphaned Suubi Lyabanna girls when school is not in session. Unlike their classmates, these girls do not have safe and nurturing homes to go to. 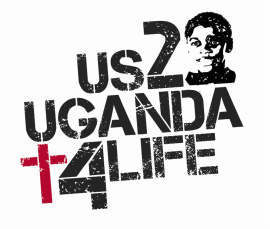 Barbara Florey visited Uganda on numerous occasions with US2UGANDA4life, her daughter Melissa and her husband Mike, Not satisfied with just sponsoring "Her Girls" barbara solicited the help of friends and family and purchased an acre of land with an unfinished house. With the help of our good friend Peter Mukongo and Resty Nakambadde, a school nurse, that house is now a home. While they girls are provided for while they stay at Resty's House they are expected to invest time in the garden, doing chores around the house and learning life skills. Barbara has done wonders but this ministry needs monthly funding to succeed. The approximate monthly cots to operate the house is $500.00. If you would consider a monthly donation of $50.00 to help Barbara with her ministry we would be most grateful! We love what you are doing Barbara, keep it up!